We've been hard at work here at Hypercane Studios. We started prototyping a new game on June 26th and are closing in on a playable product. 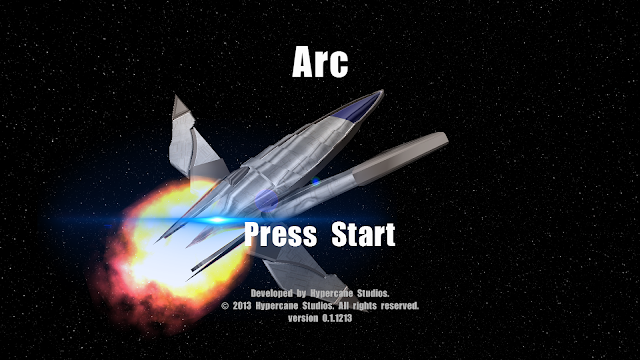 Here is a small teaser of our newest title, Arc. 1-4 players on the same console. Join forces with 3 of your friends. Save your doomed world from an unknown enemy by protecting the launching recolonization vessels. A recolonization vessel preparing for its darkest hour. Arc is an arcade mashup that combines run/jump platformer action with reticule controlled shooting (think Contra + Missile Command + Space Invaders). Arc is a Reticule Controlled shooter. Arc also has cool guns! The general game flow in Arc is to blast enemies while a colonization vessel is undergoing a 60-second launch. The action occurs on two different planes. The near plane is where the Marines hang out. Marines blast enemies and avoid fire. They also replenish reticule mode ammo. The far plane is where the launch platform is, the player must protect it from things like falling asteroids. The reticule specializes in attacking the far plane. 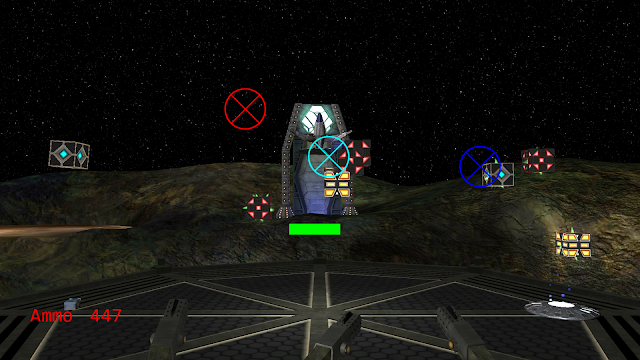 Players can freely toggle between reticule mode and marine mode by use of the teleporter. 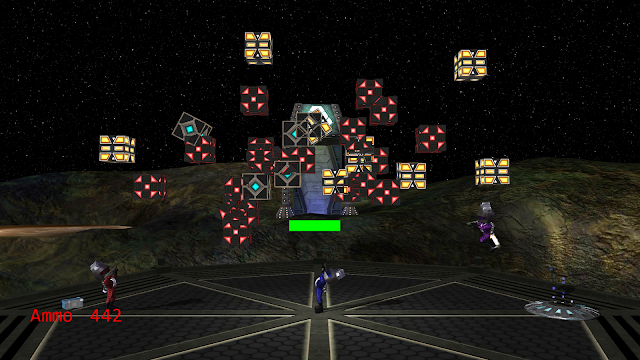 An enemy in tractor-beam mode pulls down asteroids at the launch platform. Players unlock special events/mini-games by playing through the normal game. If the event is conquered, it becomes permanently unlocked for play at any time. 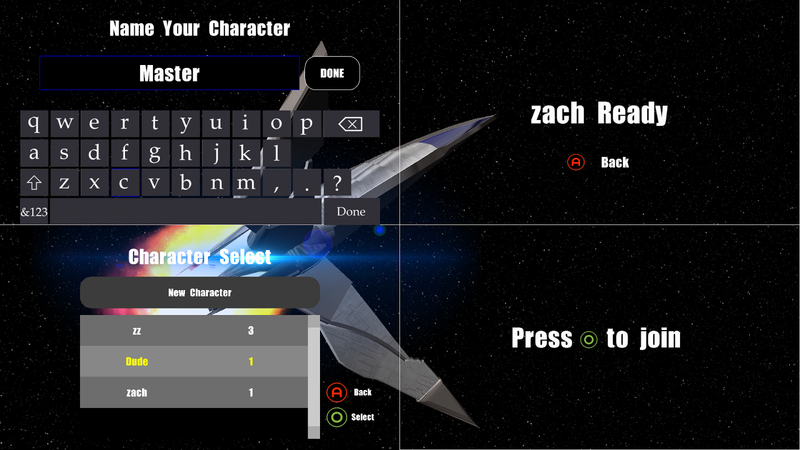 Mini-games are full-featured independent game experiences for 1-4 players. You might find this dude in an event... or not, we're just not sure. Players level up through the course of the game. Leveling up allows you to upgrade the stats on your weapons. There is also an in-game store where players can purchase new weapons and handy utilities like a jetpack or an automated drone turret. We're working feverishly on this title, expect more soon!